Many of us can simply get excited when saw the advertisement by Mission saying “Feel Cool. Go Harder”, it’s a liner that can literally drive people crazy after the product as its summers around with lot of beach wear. And, talking truthfully, we never thought that some towel-snapping can be taken to a whole new level with oh-so-cool feel to beat the heat dramatically when dampened and draped on your head, neck, or anywhere on body. As we said, anyone will love to have this towel when to weather heats up and you start gardening, playing golf, working out in style, or taking kids out for some sports or adventure. 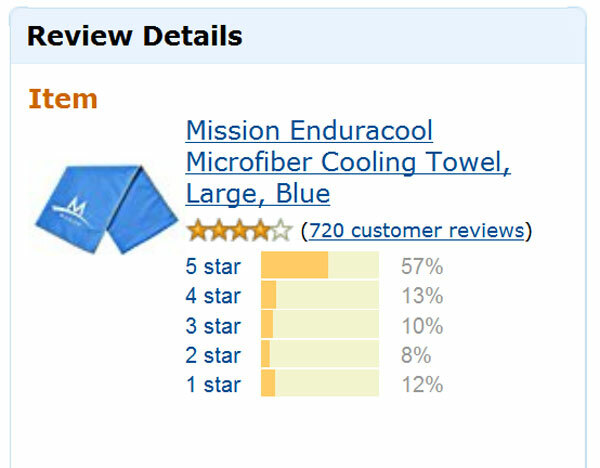 This is the reason a thought came to write an unbiased review for Mission’s Enduracool Micro Fiber Towel. Without a much let’s take a dig how effectively it works and I will also share my personal experience using this Enduracool Micro Fiber Cooling Towel, here you go! 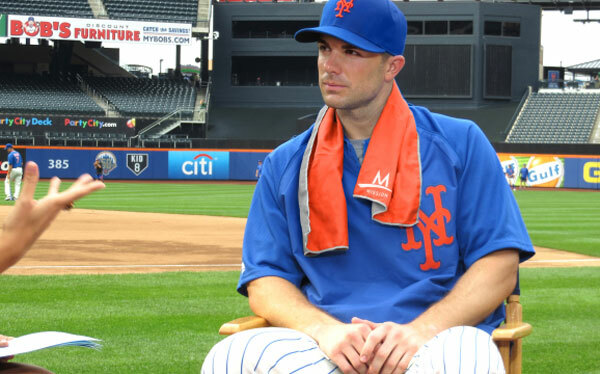 You might have seen colorful towels used by athletes and its one of them. 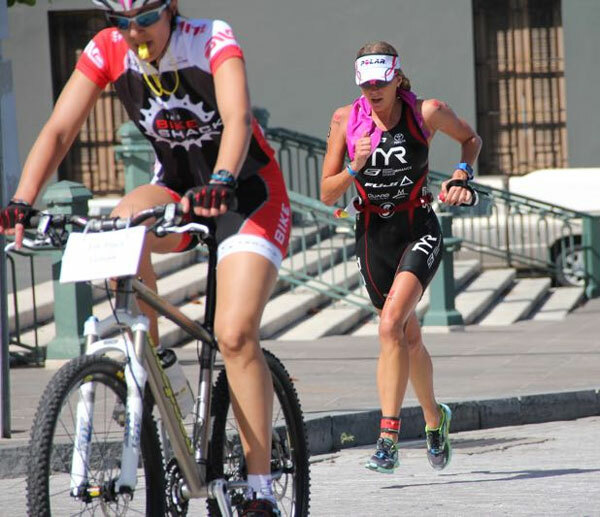 The Enduracool towel is being engineered specially to meet the needs of athletes, but it’s not like that normal people can’t use it. Anybody, who wants to beat the summer heat, can use this one. 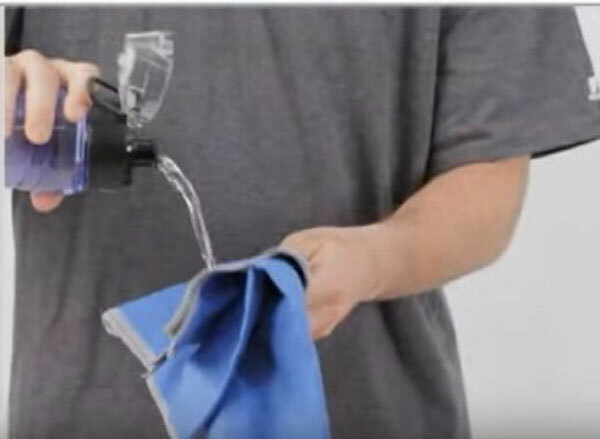 It’s made using proprietary performance fabric that has properties to activate product’s cooling properties instantly when it you wring it out and snap the towel in air, but towel should be soaked with water or moisture. You can get prolonged cooling effect while performing activities when the thermo-regulating technology starts working by absorbing sweat. 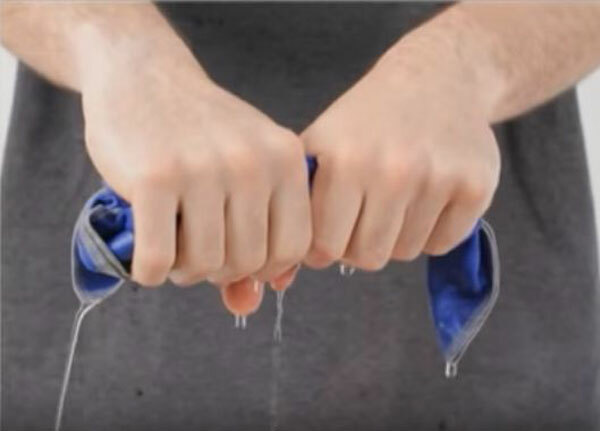 This cooling effect happens when the fabric interacts with perspiration so the unique construction of radiator-like fiber circulates the sweat or water molecules and baffle the rate of evaporation; this is how the towel gets and stays cool. 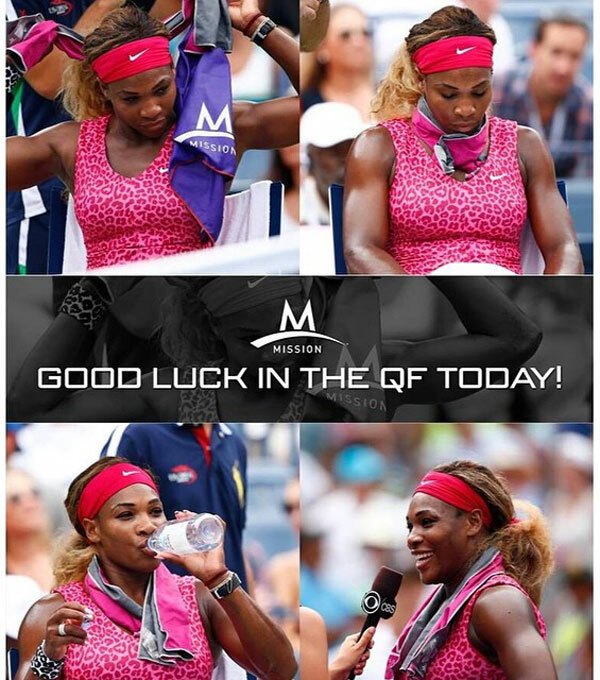 A renowned tennis legend Serena Williams has been seen using this cooling towel in different colors at the tennis court and while doing exercise. Here is the picture of the legend from the quarter finals of US Open. 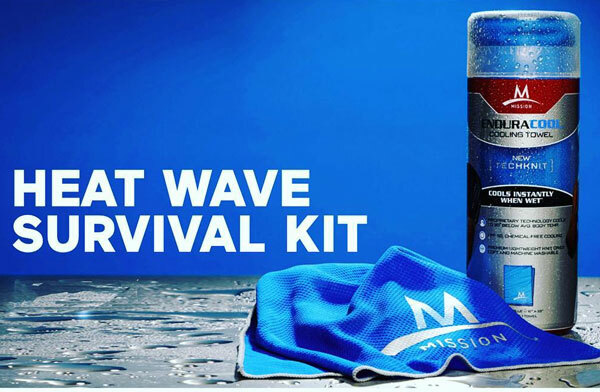 Some other celebs like Drew Brees, Sergio Garcia, and a great number of other athletes can be seen wearing Mission’s best products with a cooling effect. How to Save better at Mission.com? Now that’s a thing! At Mission.com you can get number of products that are designed and created using quality stuff. 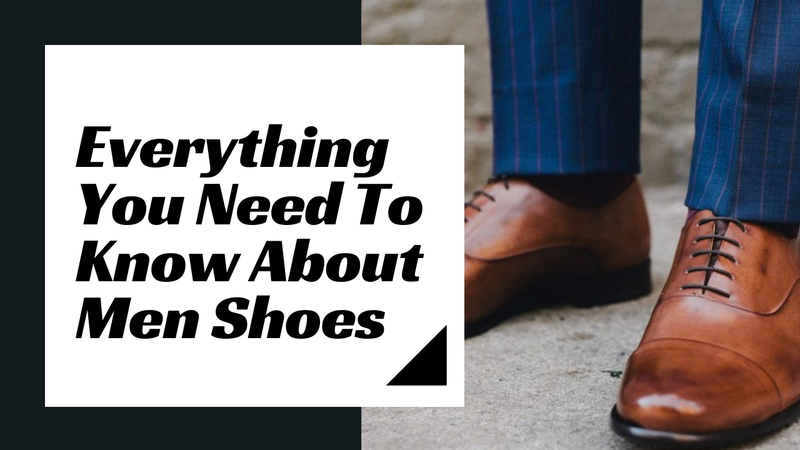 The most amazing section is definitely the TECHNOLOGY section that is equipped with products which are specialized to let the wearer deal with hottest and coolest weather situations. 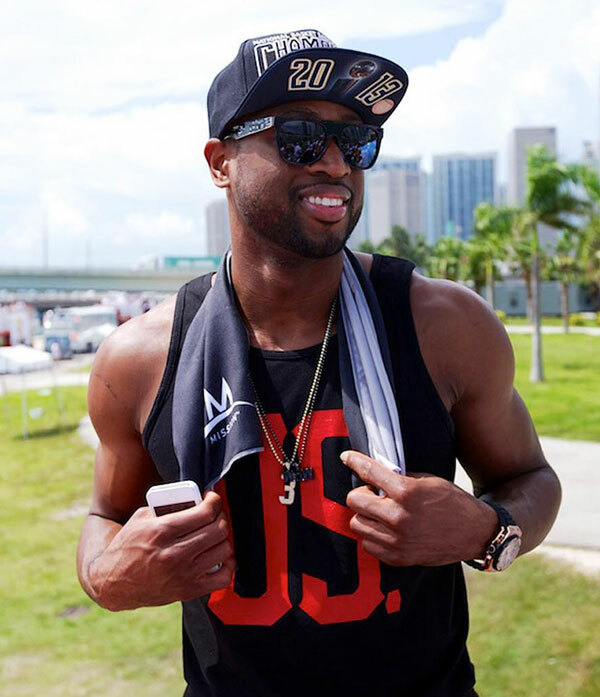 From towels to head bands to bucket hats to techknit hoodies and lots more, the store has everything to take your at leisure styling to another level. Here are some hot and happening deals that are viable right now. Grab them and stay cool all summer long. 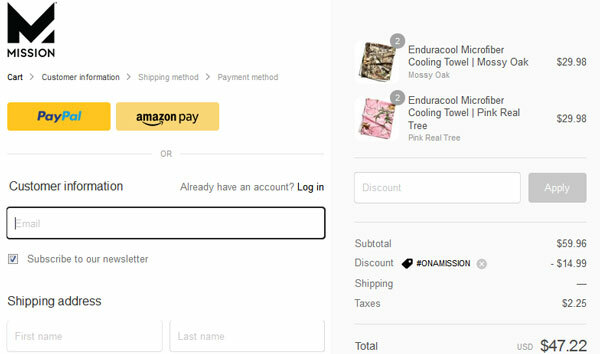 How to Place Order and Apply Coupon Code at Mission.com? 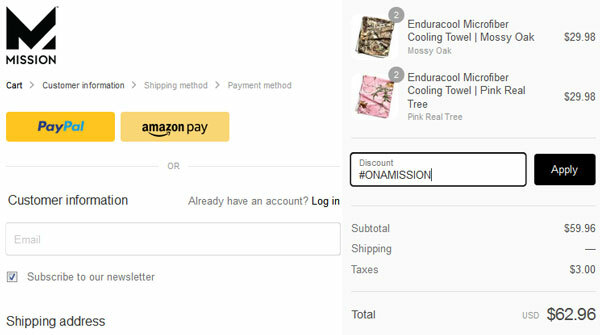 Often, Mission.com offers coupon codes, saving deals, and discounts on individual products, some of the discounts are for limited time so you need to be little quick to grab them, and others say activate for bit longer. 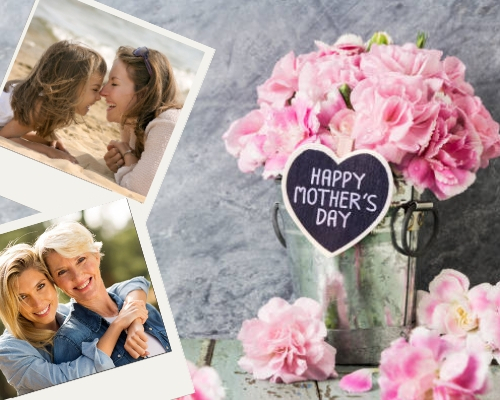 Right now, the store is offering 20% off coupon code; that can be applied to any of the products available at Mission.com. Here is the procedure for placing order and availing discounts at Mission. 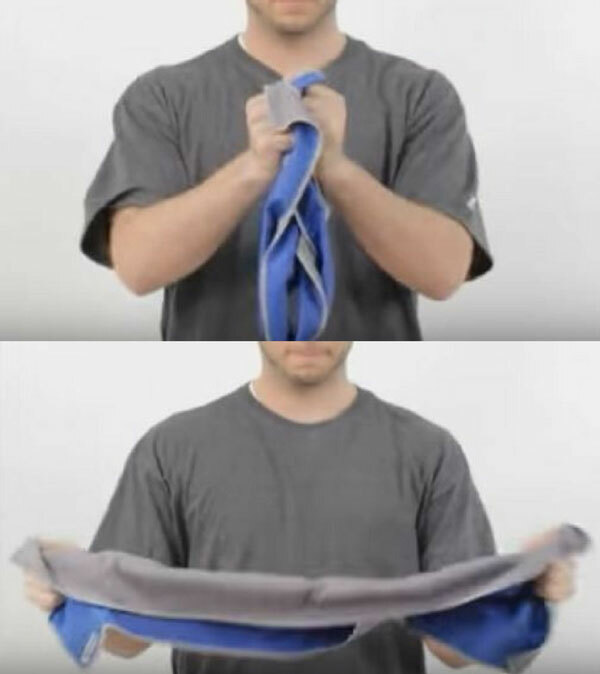 At first, we are selecting two different designs and colors of Enduracool Microfiber Towel. 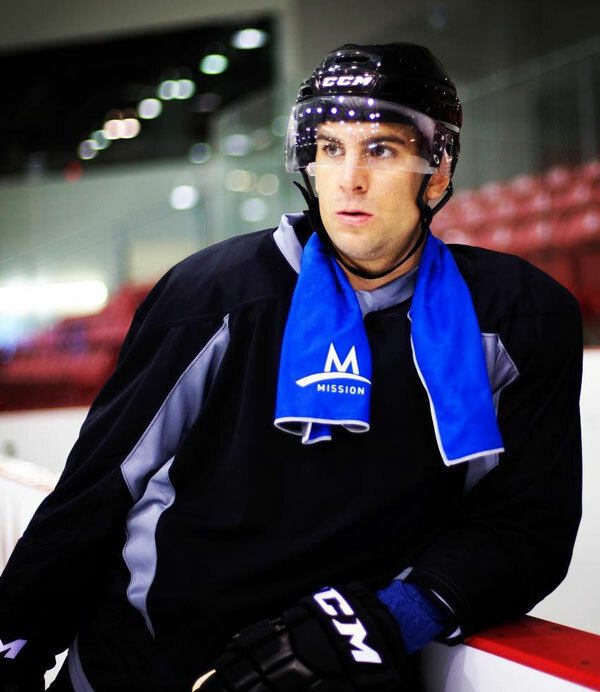 In total we are placing order for 4 cooling towels. 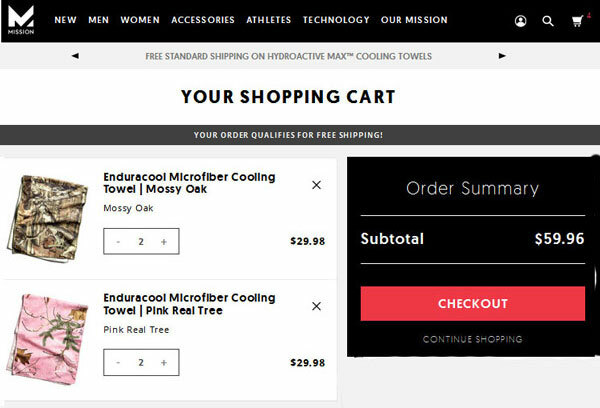 2 Mossy Oak Enduracool Microfiber Cooling Towels and 2 Pink Real Tree Enduracool Microfiber Cooling Towels. Added all products in the cart. 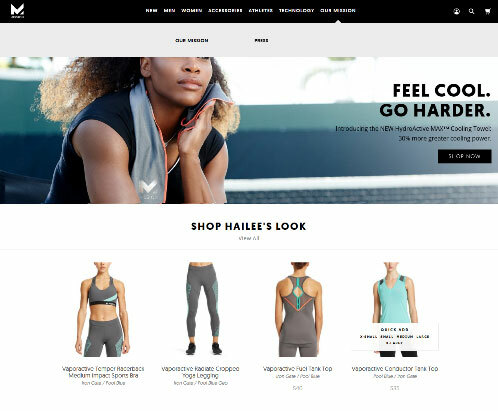 Now we are on checkout page where you can see a field to apply coupon code at the right side of the page just under the place where products and purchasing amount is mentioned. And on the same page you can see the payment methods that are acceptable at Mission.com; you can use Paypal Or Amazon Pay to make you payment. They also accept credit cards, which are: American Express, Visa, Mastercard, and Discover. Keep a simple thing in mind that these codes are for limited time and Mission.com offer these kinds of codes on regular basis. 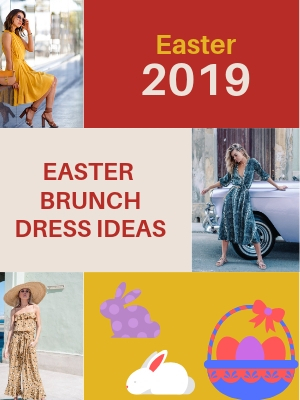 To get timely alerts regarding the discount offers you can rely subscribing ClothingRIC.com. We would love to make you shop the most cooling items for hot sunny days. 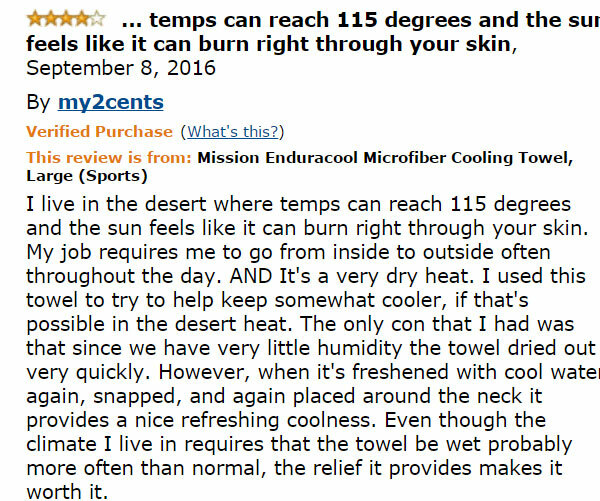 If you are making mind to get this amazing cooling towel, so we are here to help you bit more by featuring some real customers/users reviews from Amazon. Here are the screenshots that we have taken and we believe that will be really helpful. But remember, do use discounts once you make mind to stay cool in summers wearing Mission.com’s cooling wearable. Now that’s the thing! Every mother gets worried when kids get sun exposure in hot and ugly summers. 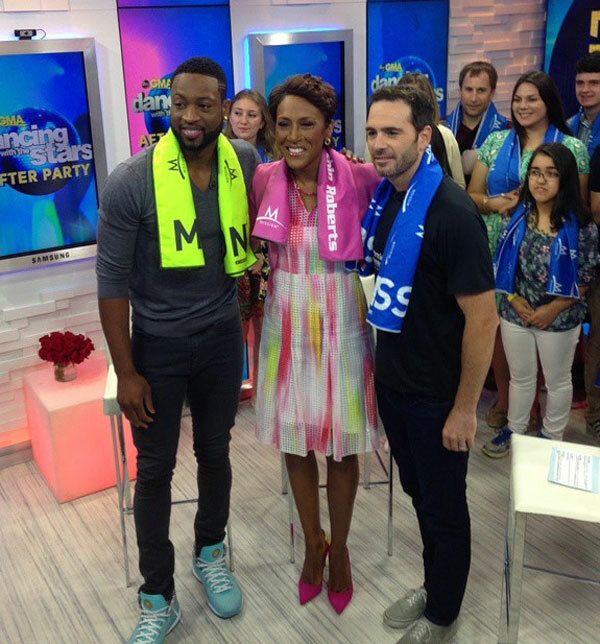 So, why not to get Mission Microfiber Cooling Towel to keep your kids cool and stay relax like Missy Jon?? To avoid sun’s and summer’s harsh warm days that make you feel terribly burned, try having Enduracool Towel and take a chill pill! The best part of this review is: the products works well as promised by the company and it has great size, which means it will be easy to cover head, shoulders, or any other area of body. But yes, Mission.com should pay little attention to pick the fabric that is bit more soft and don’t get stiff with sweating. So, before winding this review up, let’s take a quick glimpse of what Mission’s Enduracool Microfiber Cooling Towel is all about, a short review. It can be clearly seen in the above picture that 57% customers, which is a great number tho, got satisfied with the product and are happy the way summers aren’t making them irritated. Whereas, the product also got 4 stars from 13% buyers, 3 Stars from 10% consumers, 2 Stars from only 8%, and 1 star from just 12%. Majority is already speaking much! What I Feel: When I went through lots of reviews written and posted by Vlogers, Blogers, and also on Amazon, I got quite good vibe from this product. Staying active in summers is also a big task as you star feeling bit exhausted and this cooling towel can be a great option to use. There might be some people who aren’t satisfied with the coolness it gives, as they expect bit more, or some might even don’t understand how to snap it strategically, but at the end what I see is that majority consumers are happy and satisfied. 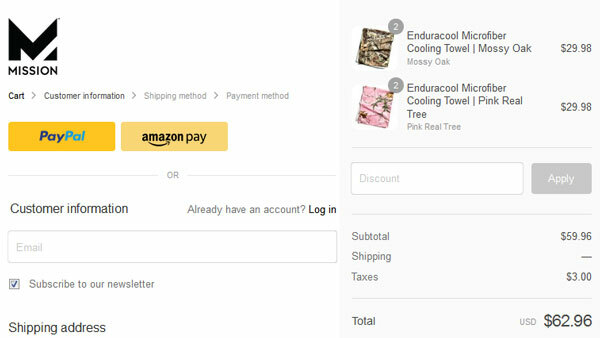 And, to me, that’s a big positive point, and it’s quite convincing which will definitely be going to lead me having one of the most attractive Enduracool Microfiber Cooling Towel. I hope this review remained most useful and will help you taking right decision. To beat the summer heat out, these extra-cool products with huge discounts will surely be a smart move.